September 4th 2013 was one of those lucky days for me! 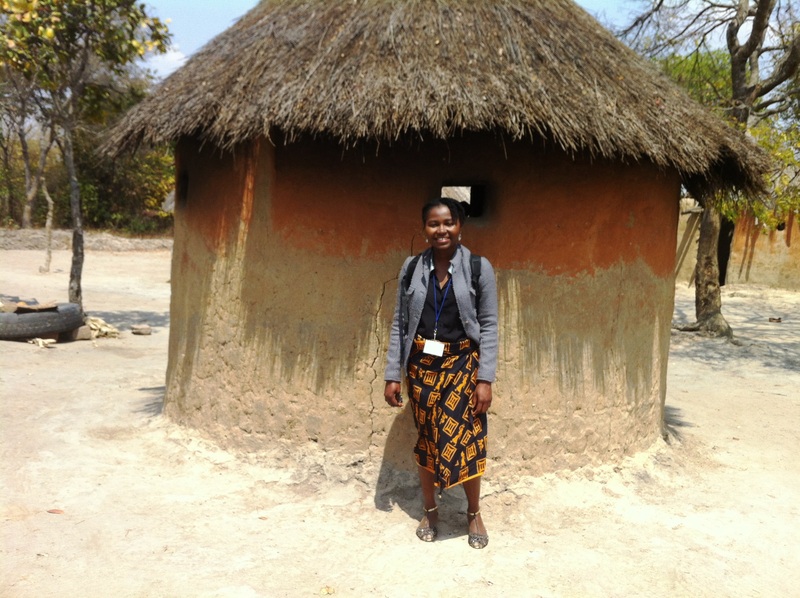 I got to visit one of the communities where our Programme for the Awareness and Elimination of Diarrhoea (PAED) works in Zambia. Diarrhoea is the 3rd largest killer of children under the age of 5 in Zambia. One of the pillars of the PAED program is the promotion of practices that prevents diarrhoea-related illness and death. Community Led Total Sanitation (CLTS) is a diarrhoea preventive practice that advances handwashing and the use of toilets to stop open defecation. The mission of the PAED Team was to implement a Community-Led Total Sanitation (CLTS) effort in our destination, Kasenga, Chongwe District. We made our way through several tarred and dusty roads to get there. On arrival, the locals welcomed us with delightful songs laced with clapping. As I watched the dedicated teams engage with the community, I learnt some very meaningful lessons. When identifying issues that exist within a community, it is important that as many community members as possible be part of the discussion. This was clearly demonstrated when community members took part in mapping their locality to identify homes with toilets and those without. All present formed a circle around two young men who used a stick to draw a map of Kasenga. Stones marked homes and leaves were added if they had toilets. Despite my inability to understand Nyanja (the local language), it was evident that all community members were contributing to the process by pointing out any mistakes or omissions made by the amateur map-makers! Although “walk of shame” sounds negative in the context of community engagement, it does not have to be so. In this case, it means using the negative as a force for good. After the mapping of Kasenga settlement was completed, the village headman led the community members and all present in a walk of shame. This 2km long walk took us to innermost part of the settlement to look for and collect fresh stool. Once these ‘deposits’ were found, they were brought back to our starting point for all to behold in their glory while we discussed the hazardous effects of open air defecation. One of the community facilitators led the discussion and using some food and water, she demonstrated how easy it is for human waste to contaminate food and drink and cause life-threatening diarrhoea to children and adults. For the exercise, she shared freshly prepared fish and some water amongst everyone and then placed the remaining food next to the faecal deposits and we watched as flies danced between them. For the water, she used a piece of stick to poke the faeces and put it into the can of water. Then, she asked if we would like some fish or water. The response was a unanimous “No”. The Community Champion then asked all to imagine what happens in homes where people defecate outside and a hen, for instance, could poke it with its beak or touch it with its feet and then match into the kitchen and touch prepared food that will be eaten by the household. Needless to say, it was disgusting to discuss food and drink in the midst of the excreta, but it had the desired effect and drove the lesson home! One of the community facilitators demonstrated how to make a simple handwashing facility called Tip Tap using a leaking can filled with water and some dry sticks. This amazing equipment can be built by anyone outside their toilet. 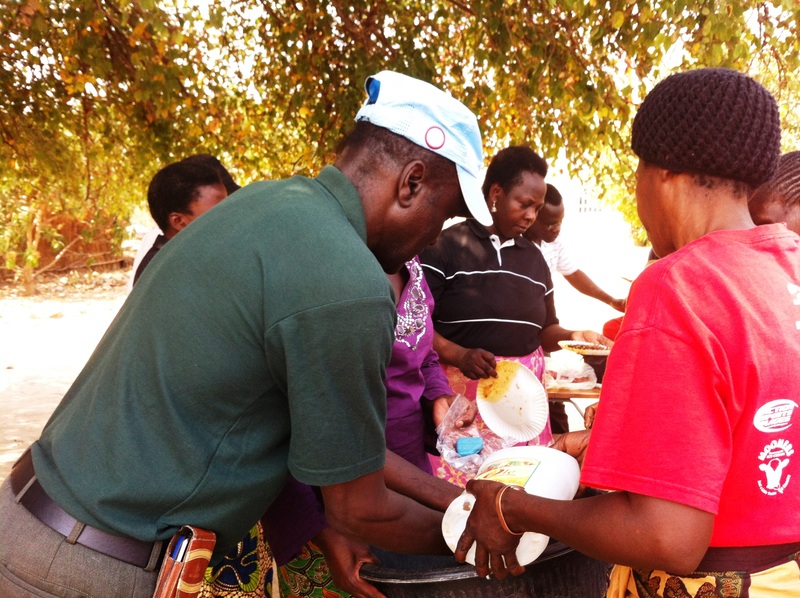 Instead of soap, community members were encouraged to use ash as a cleaning agent for their hands. This innovation will make it easy for communities to adopt handwashing as it costs next to nothing! What followed after the collected waste was safely deposed of was a lesson led by one of the facilitators on the monetary cost of illness that result from contamination of food or water by human waste. Using a long sheet of white paper and a marker, we all estimated and compared the cost of seeking medical care at a health facility versus the cost of building a local toilet. Unassisted, the inhabitants of Kasenga were able to come to the conclusion that the cost of medical care was much higher.